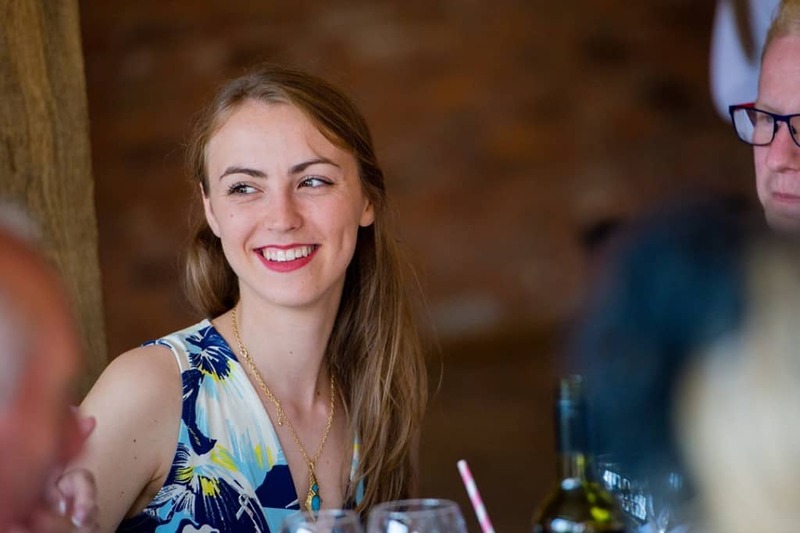 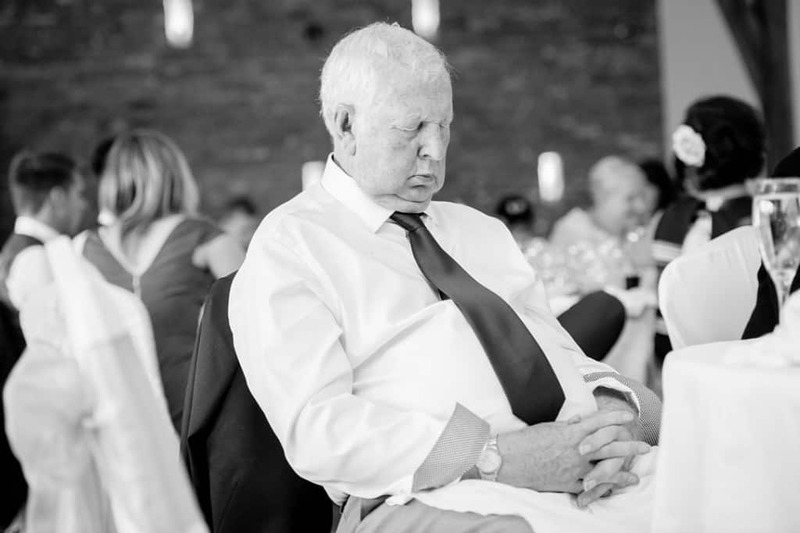 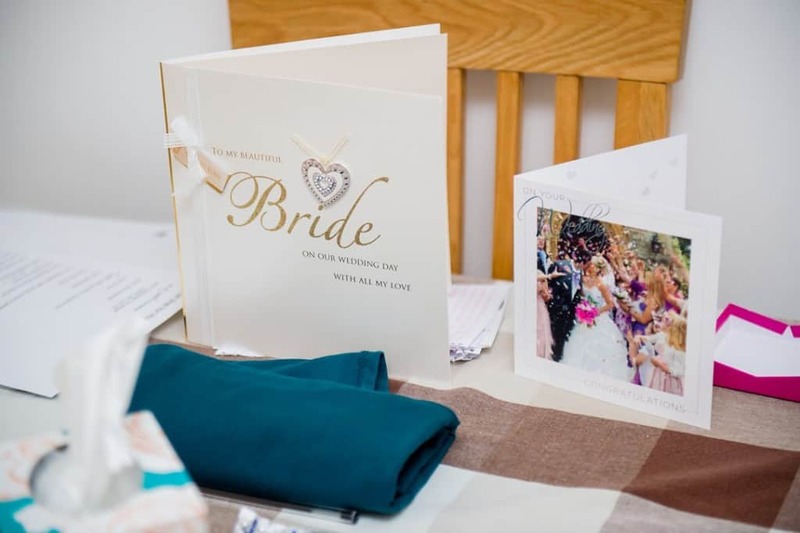 The Day started quite relaxed at the Hannah’s house in Bramcote, Her house is only about 10mins from the wedding venue, Swancar Farm Country House. 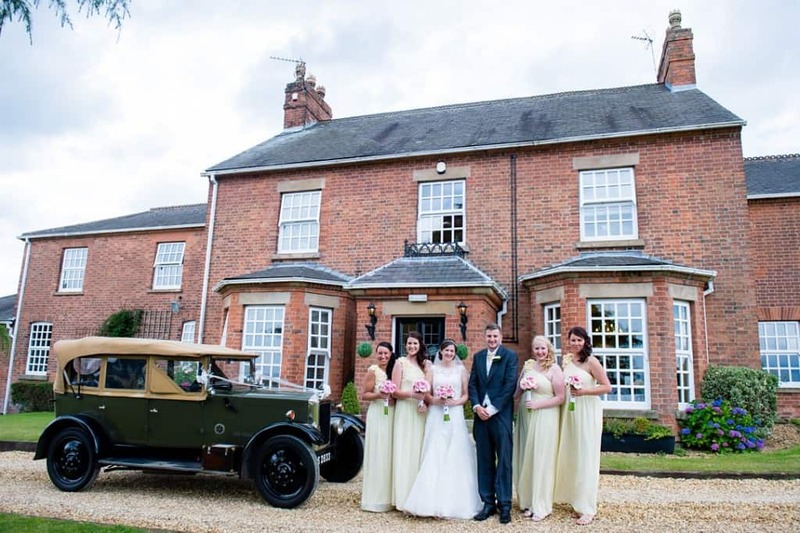 At Hanna’s House we only took a few formal photographs of Hannah and her bridesmaids in their stunning dresses before we made the short journey to the venue. 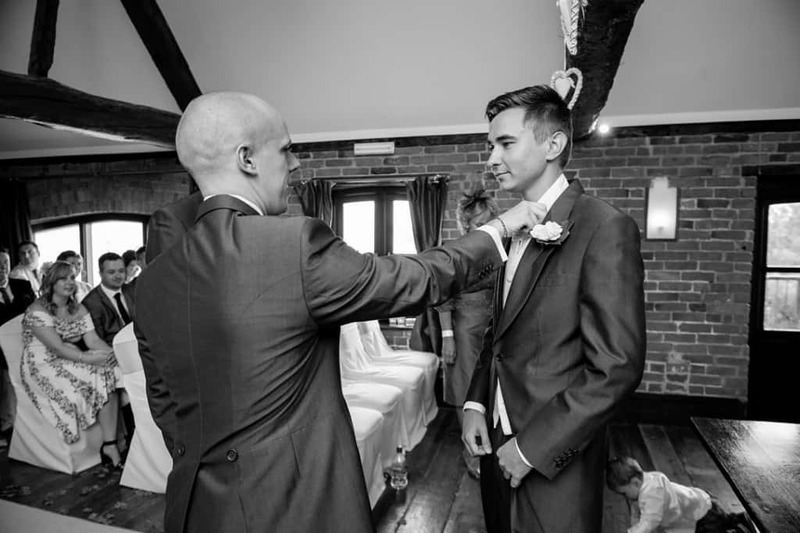 I went on to the venue slightly before the Bridal party to catch the Gary looking nervous before he went in to be interviewed by the registrar. 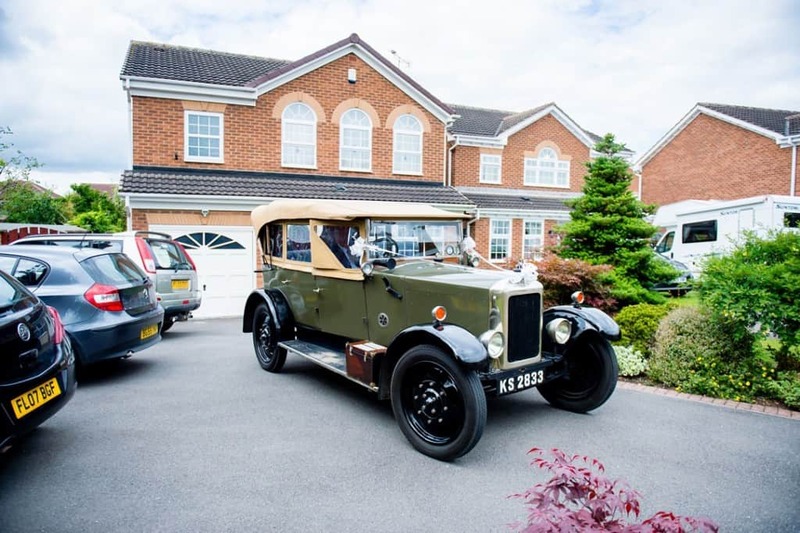 Hannah then arrived a little to early in a stunning vintage car with her bridesmaids all laughting and giggling in the back. 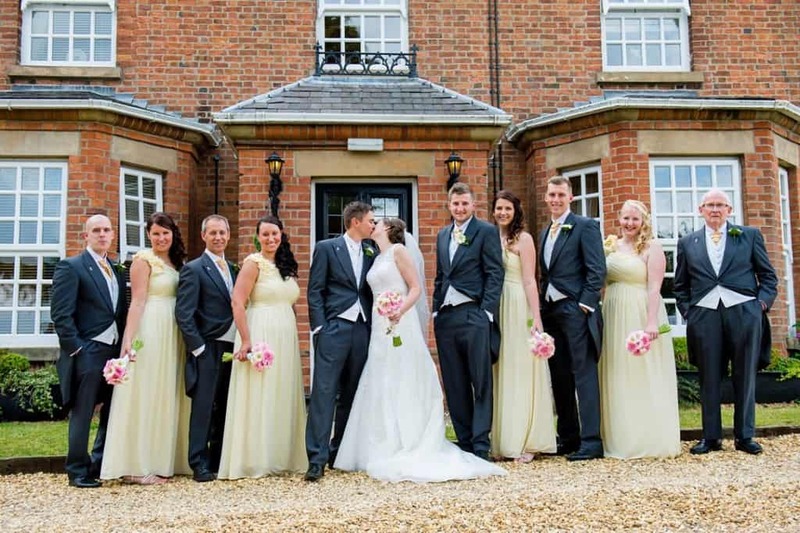 From then on everything slotted in to place and the staff at Swancar ran the day very smoothly indeed. 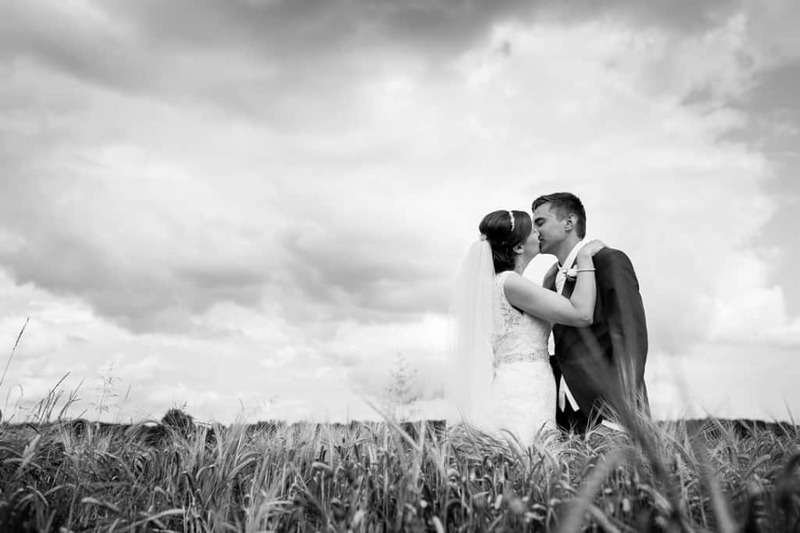 Swancar Farm County house is set amongst the most serene Nottinghamshire countryside which makes for some lovely bride and groom portraits. 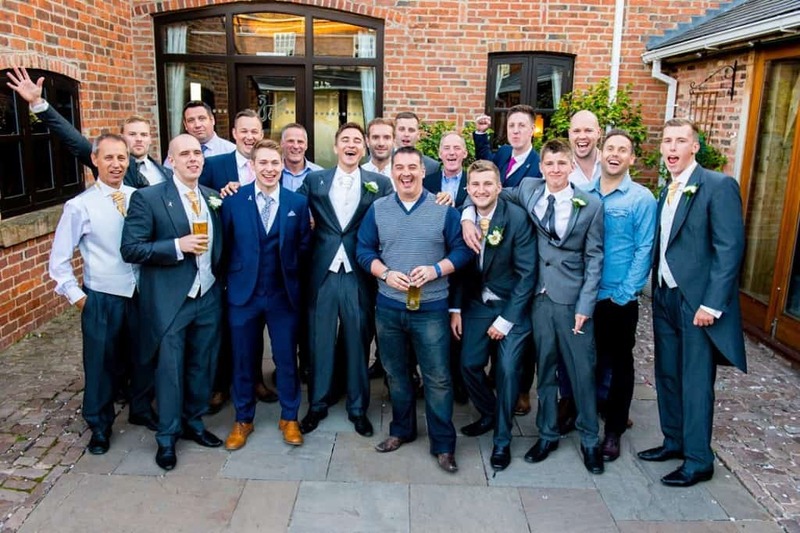 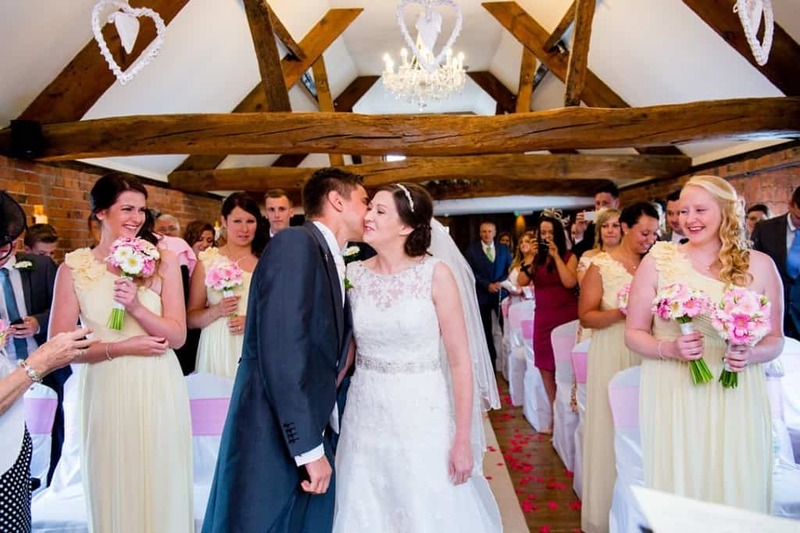 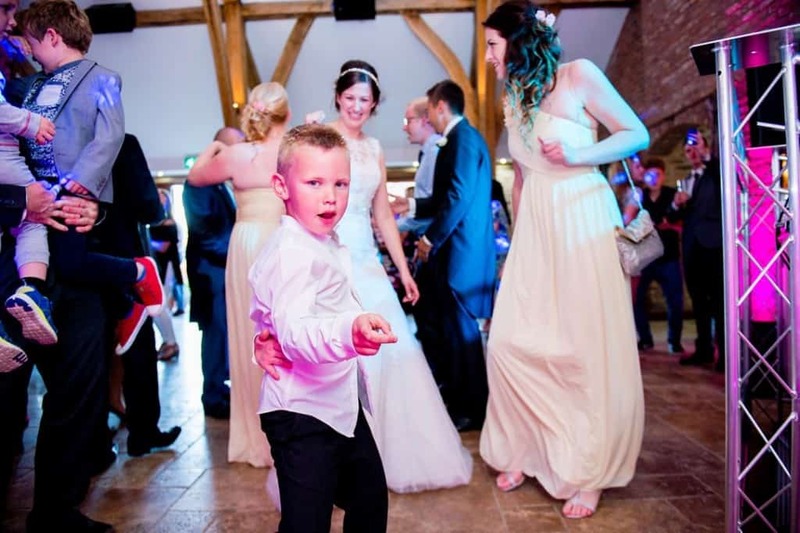 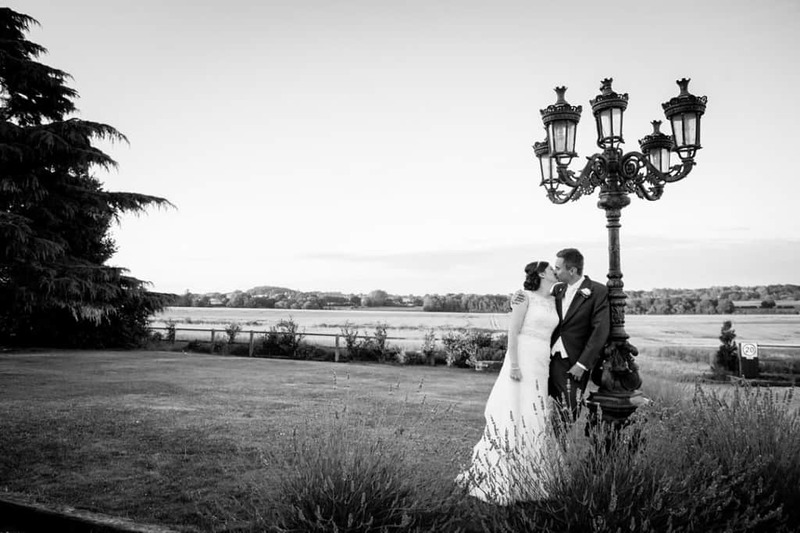 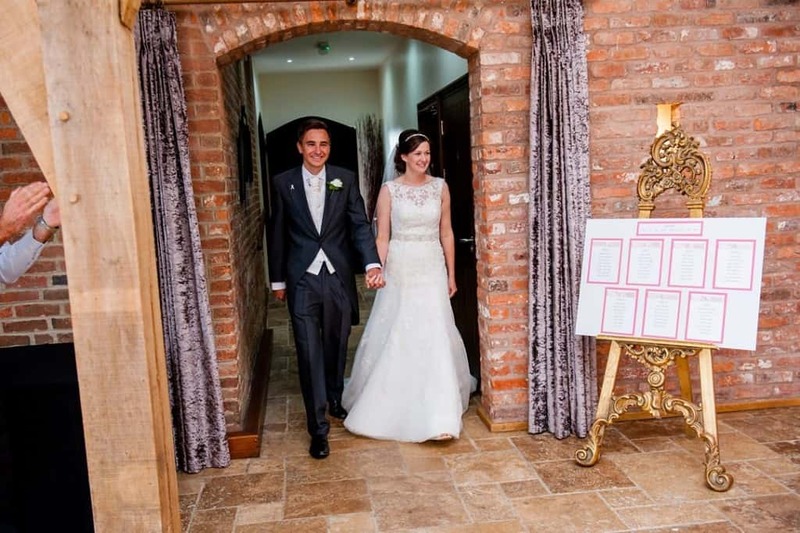 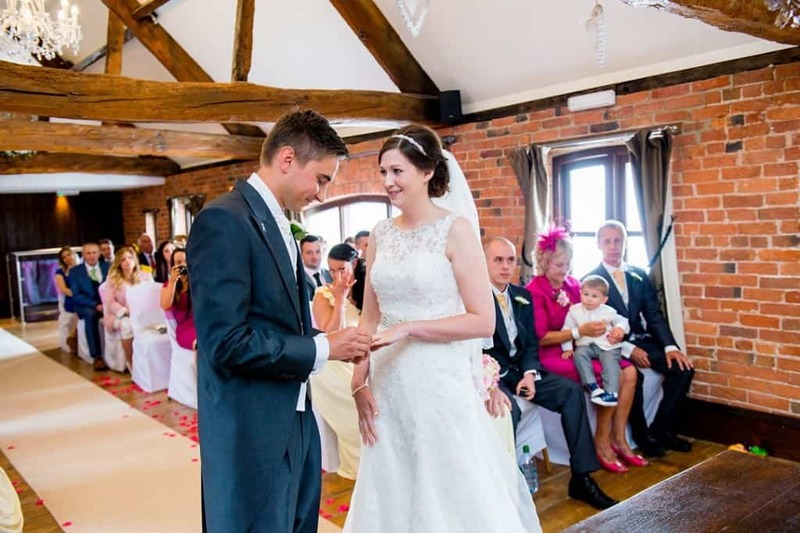 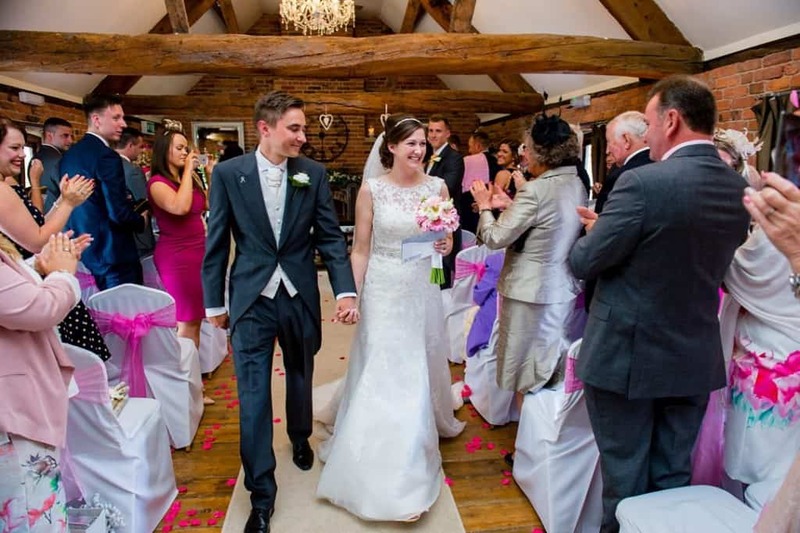 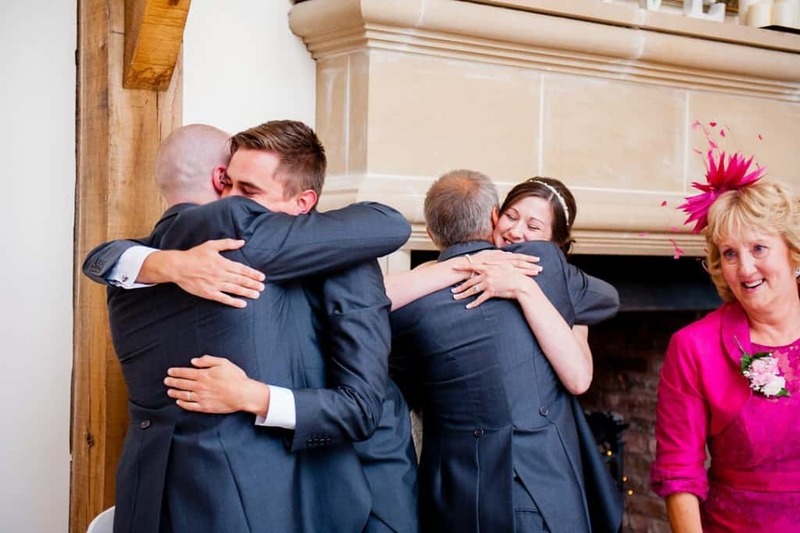 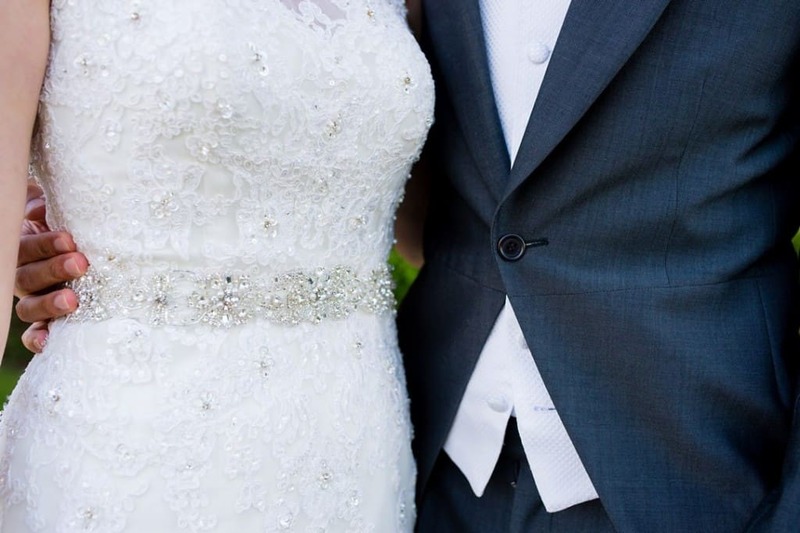 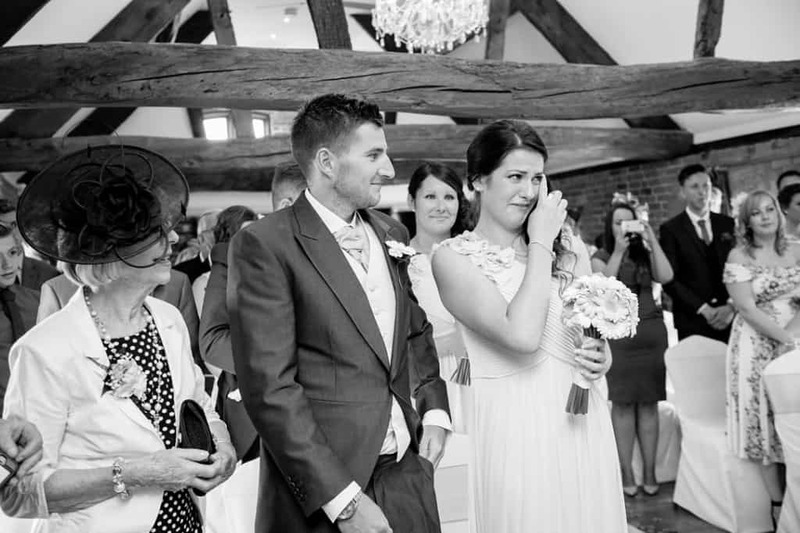 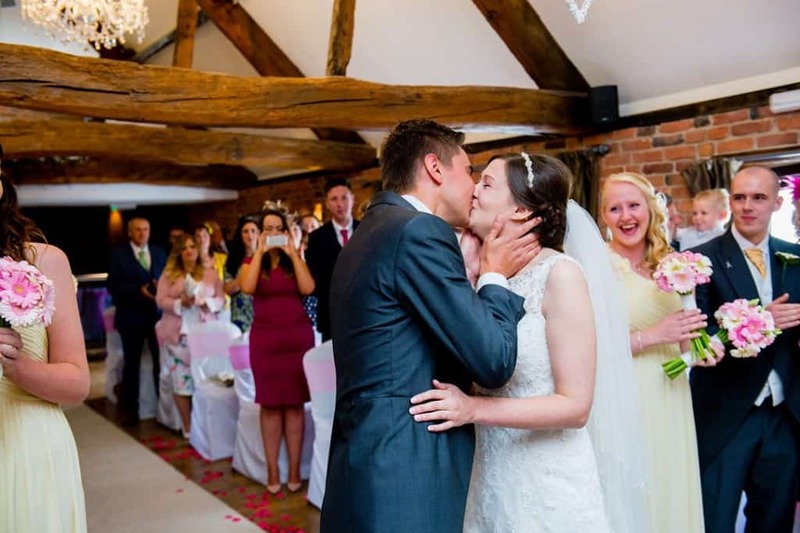 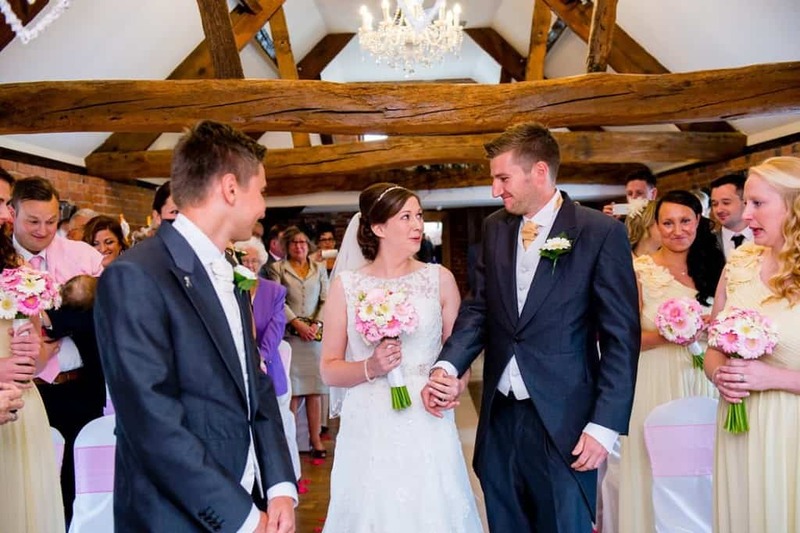 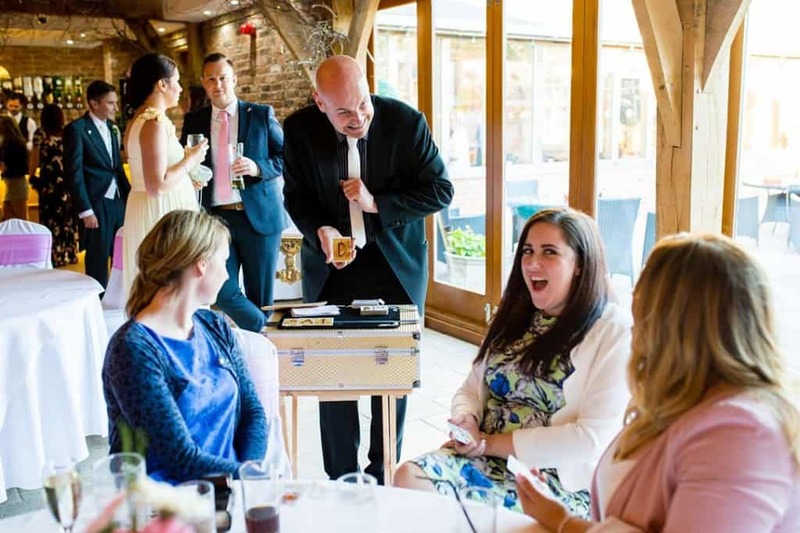 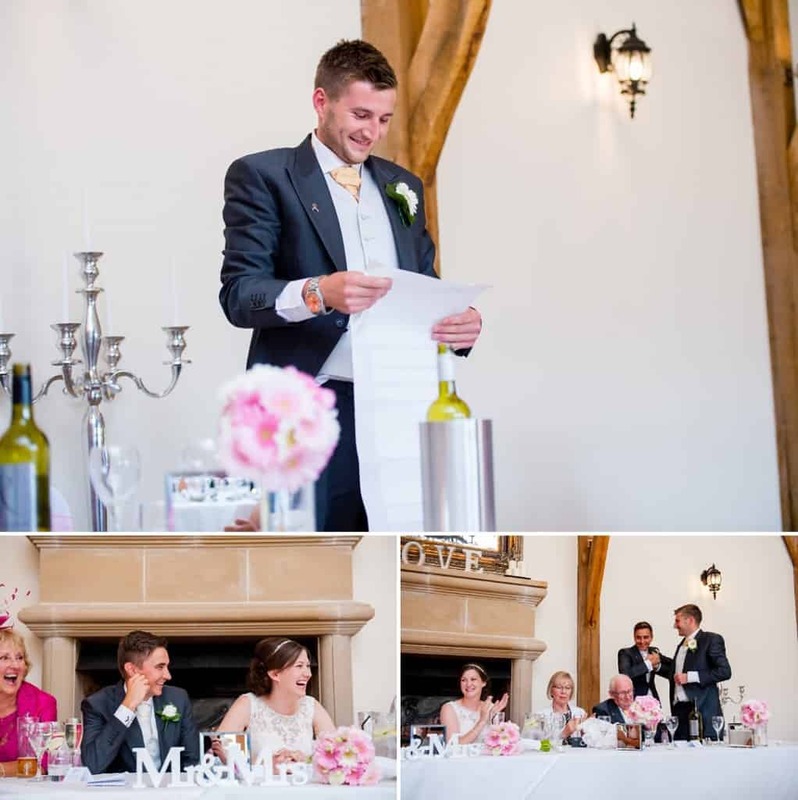 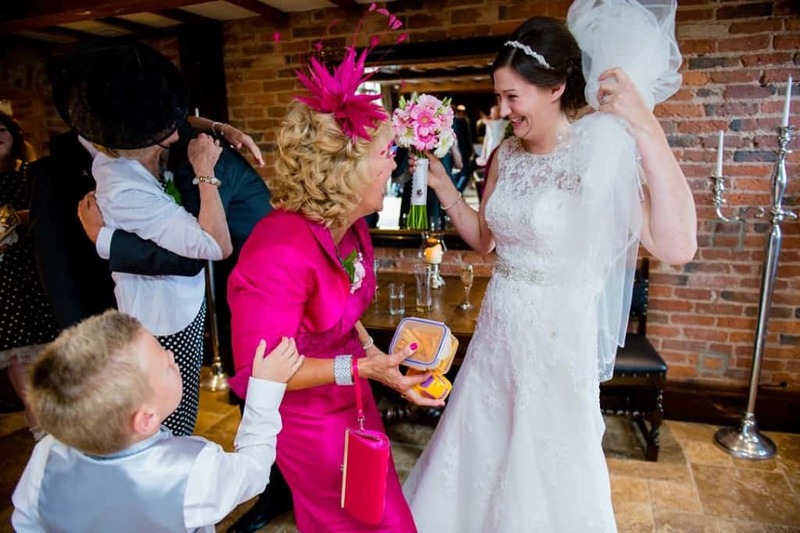 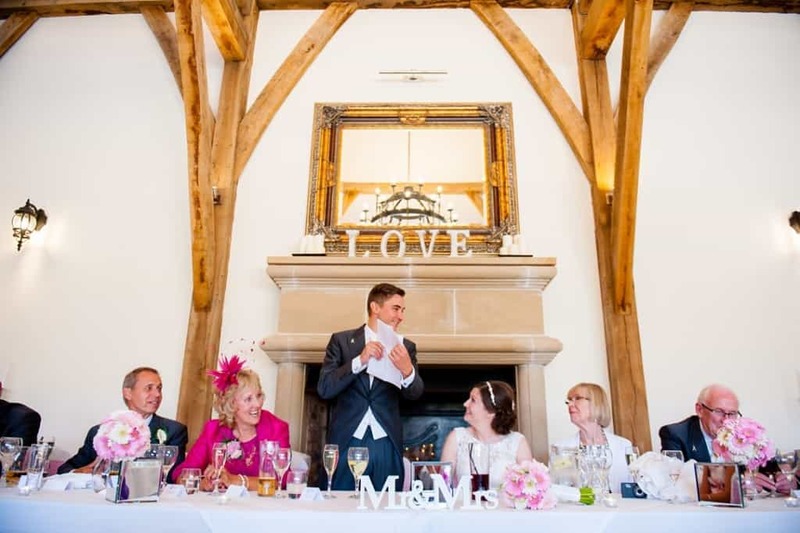 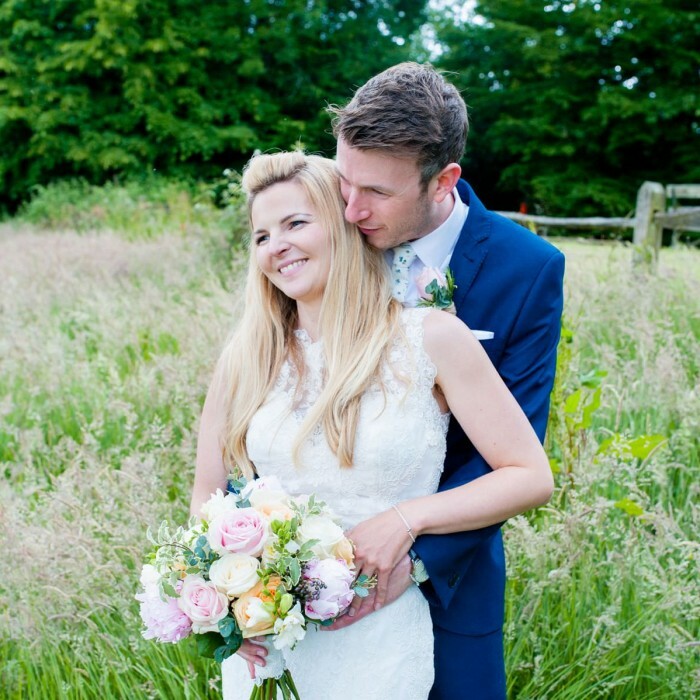 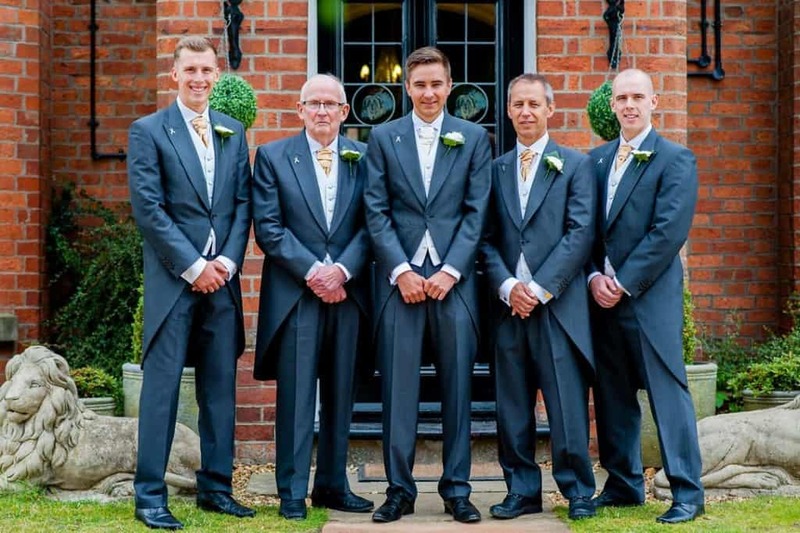 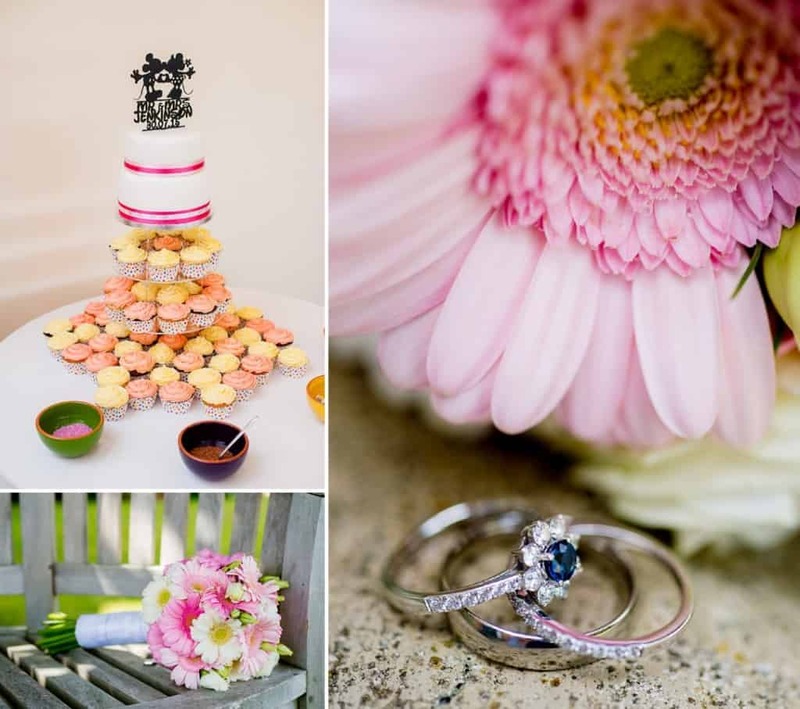 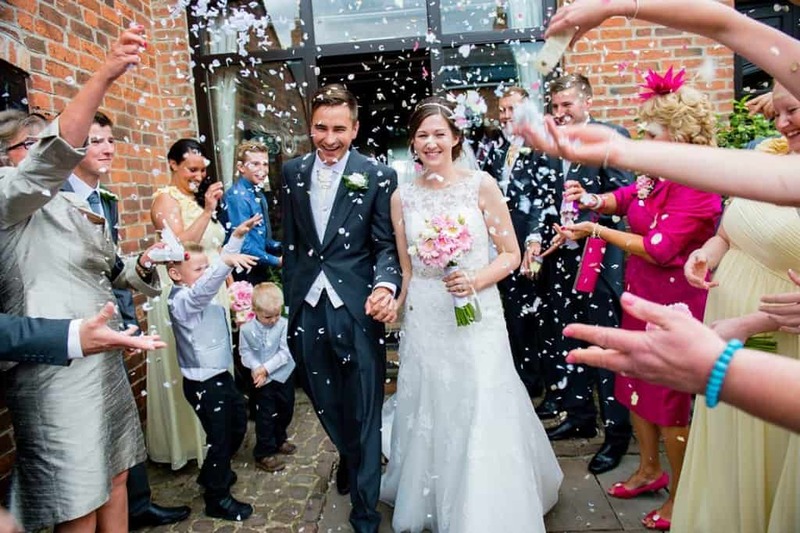 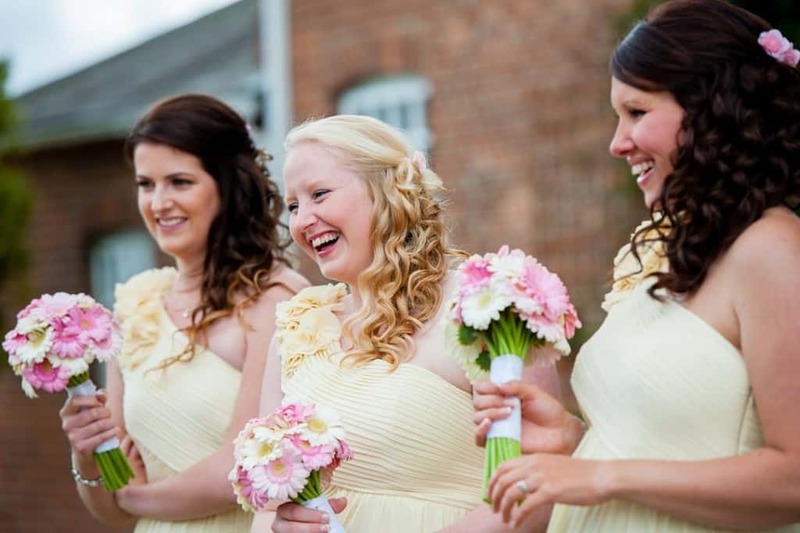 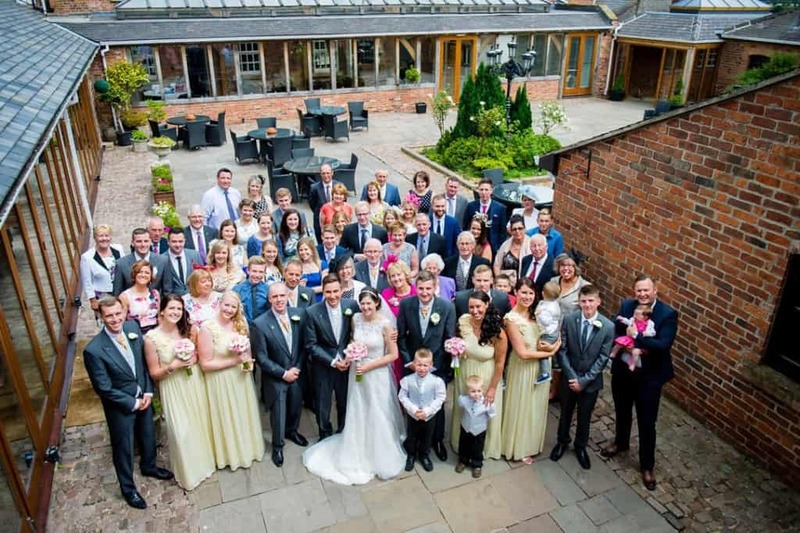 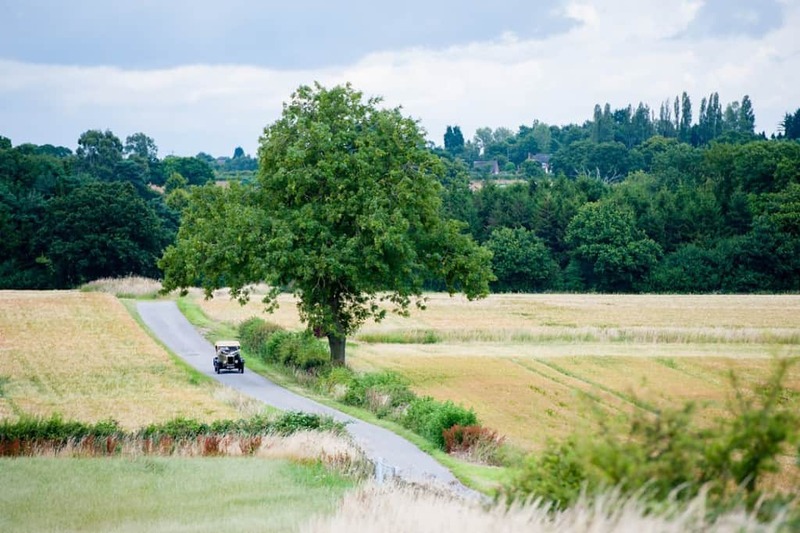 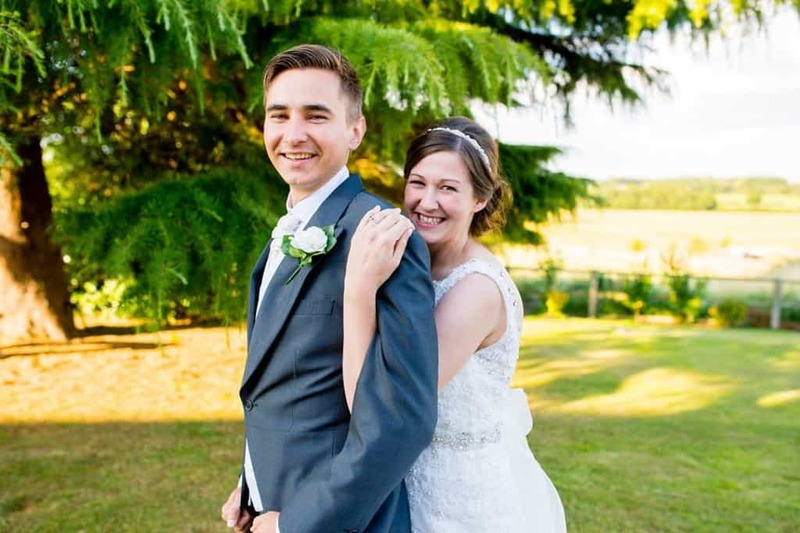 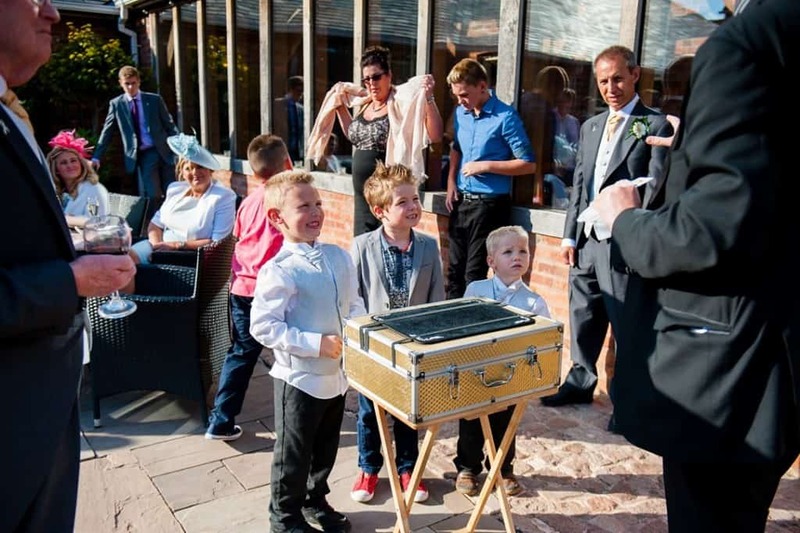 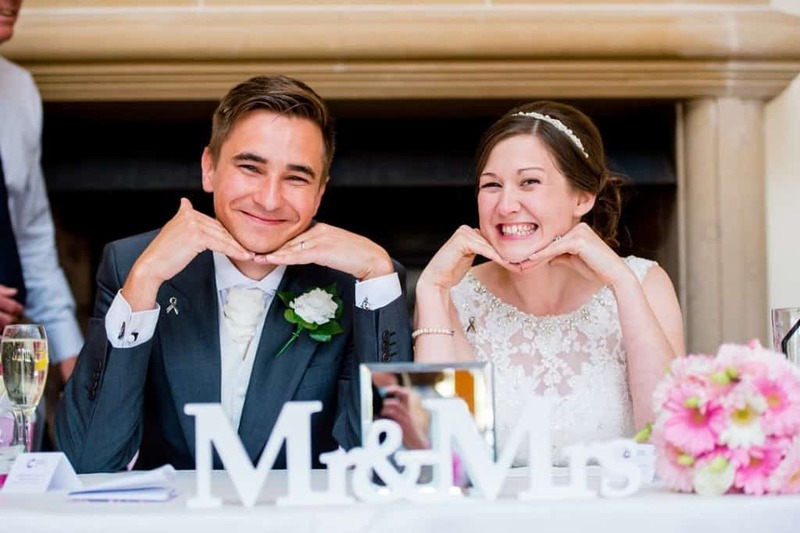 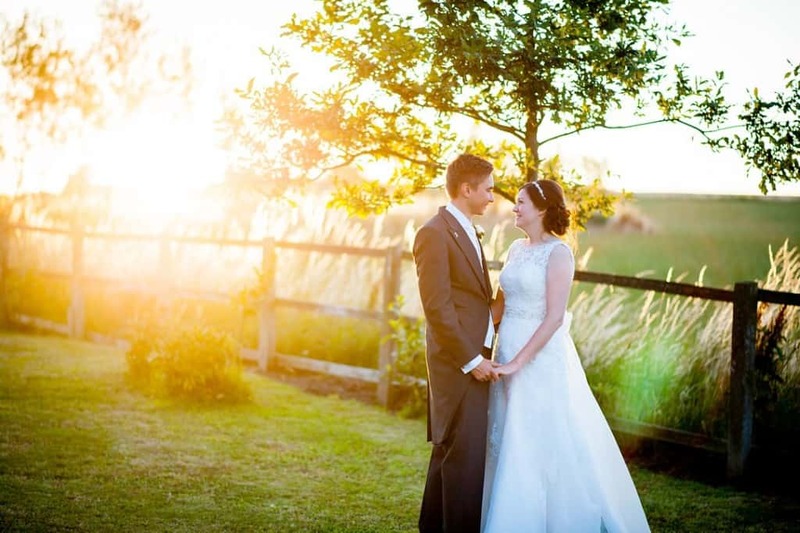 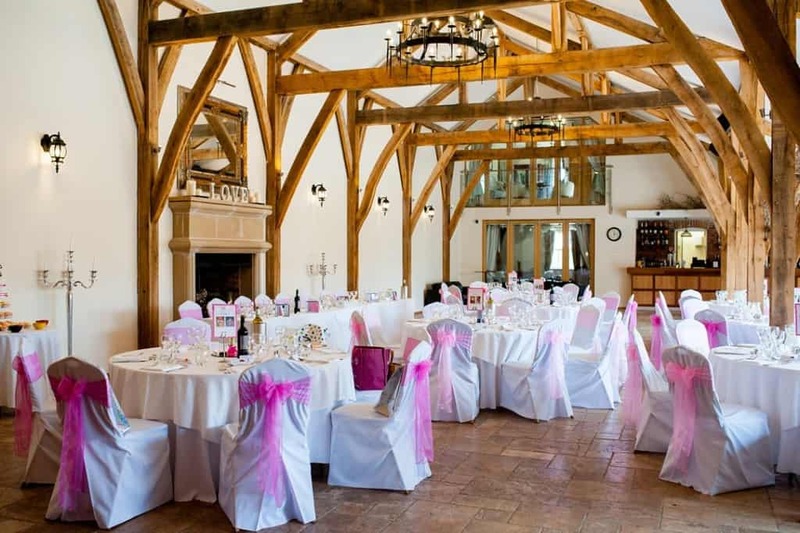 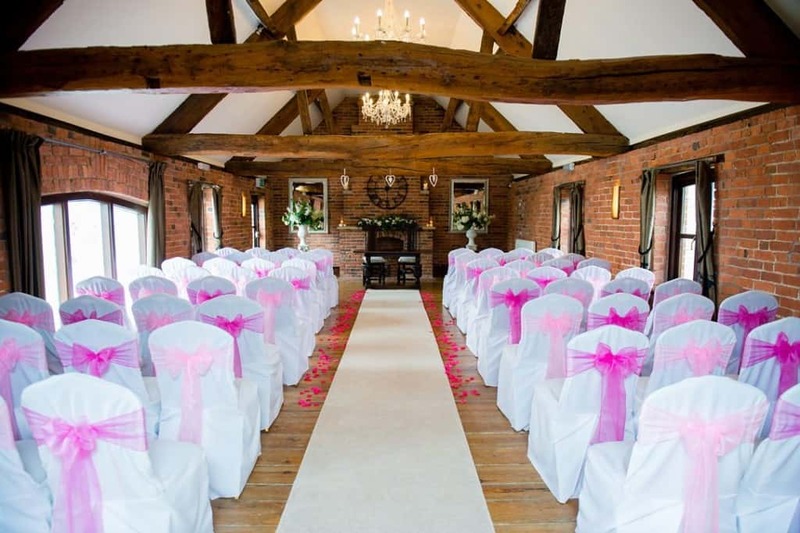 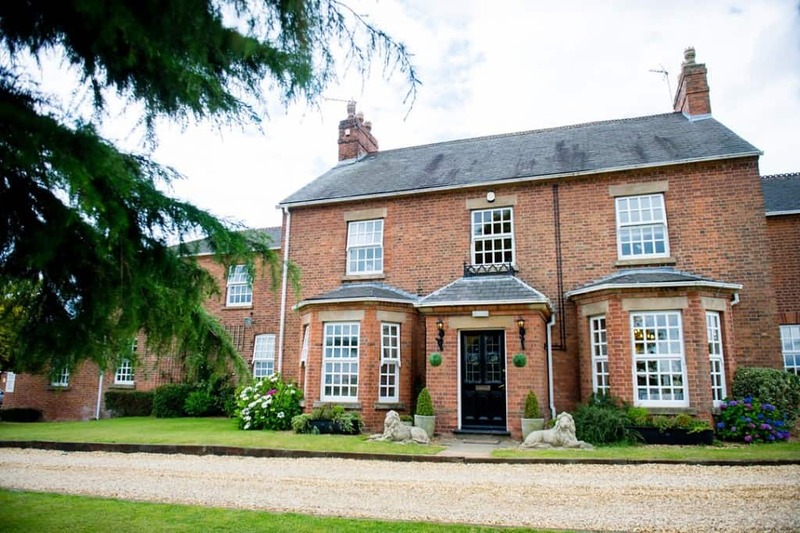 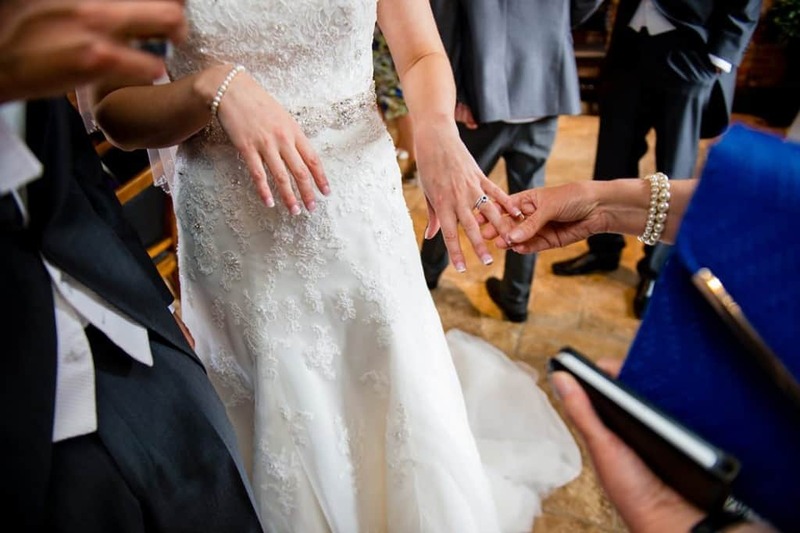 The House it self is a 16th century country farm house with a beautifully converted barn attached to it this makes it one of Nottingham’s most sort after wedding venues for bride and grooms. 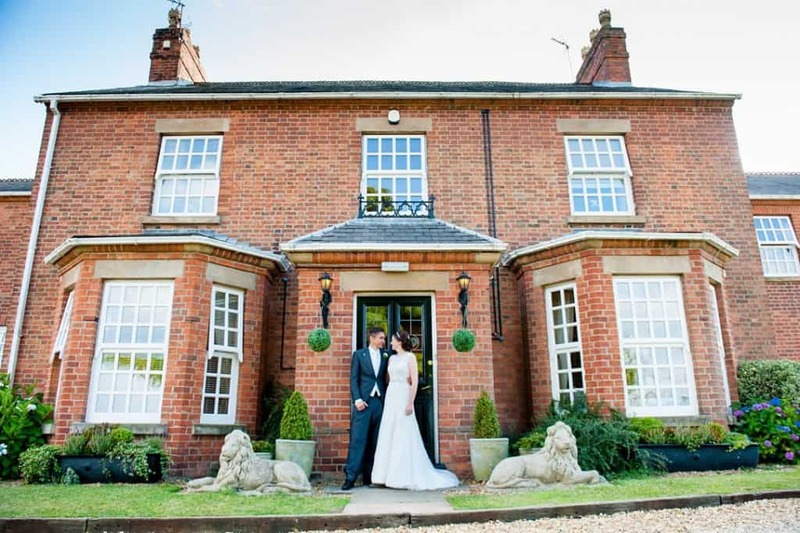 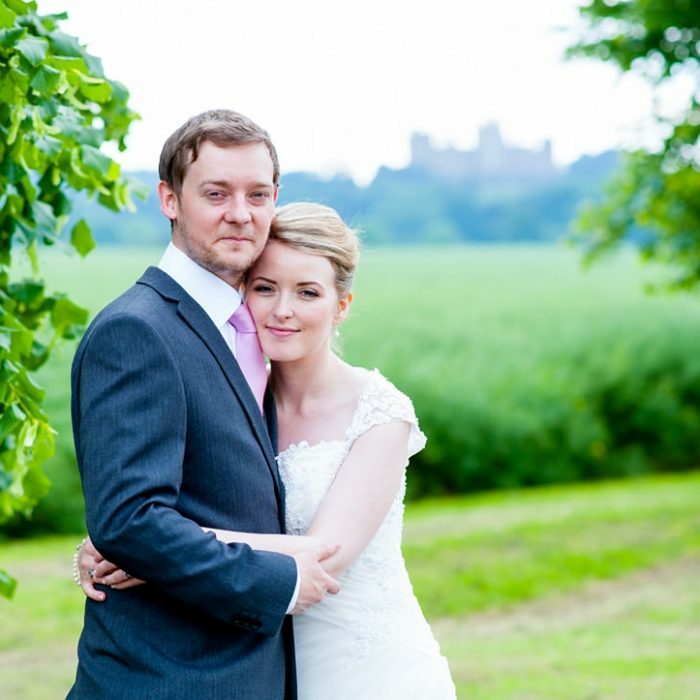 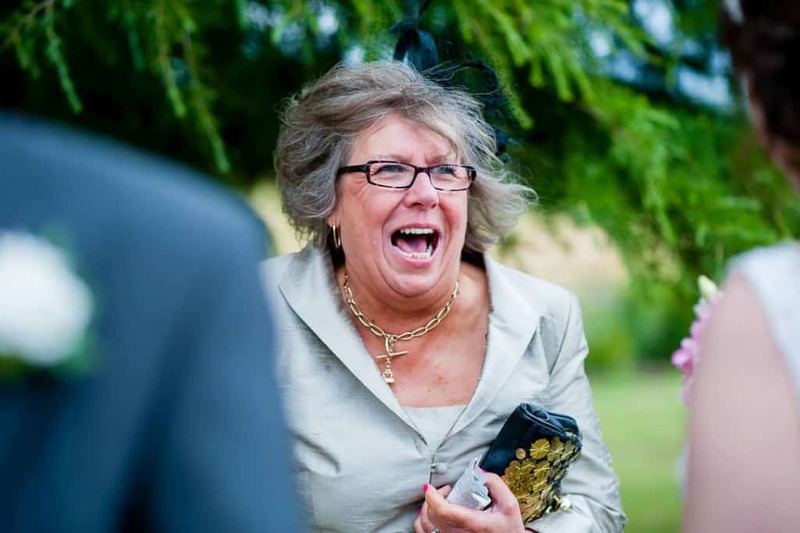 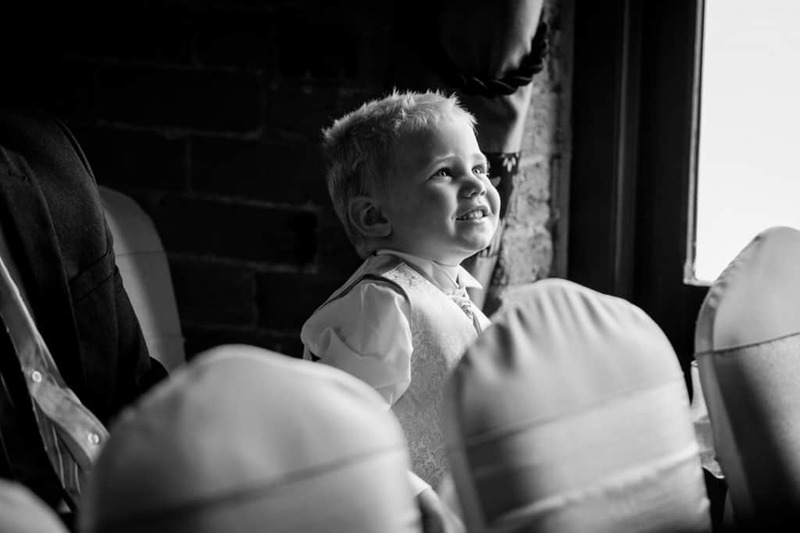 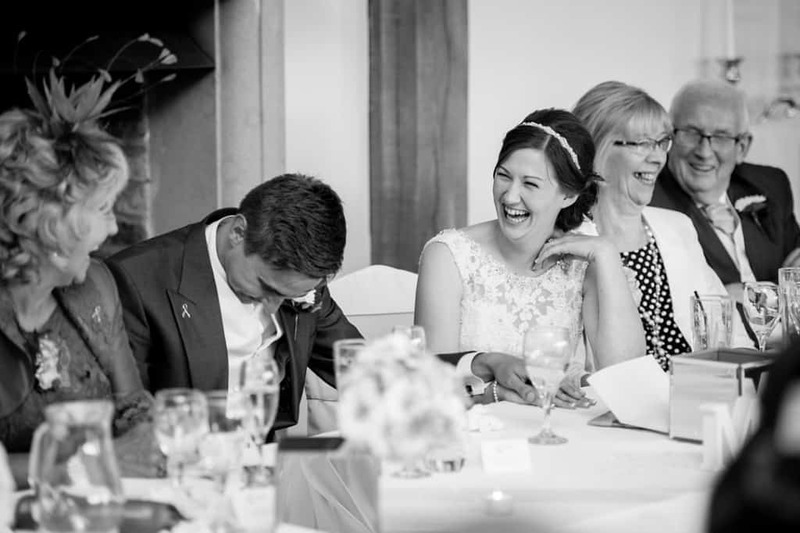 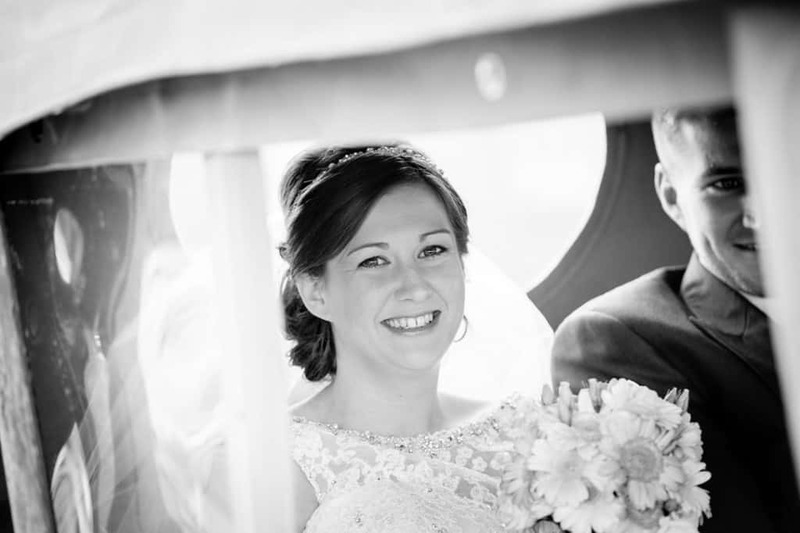 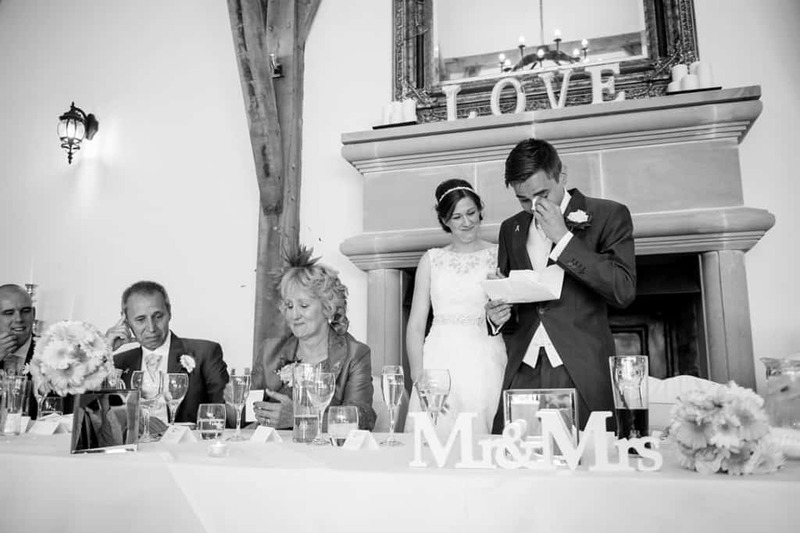 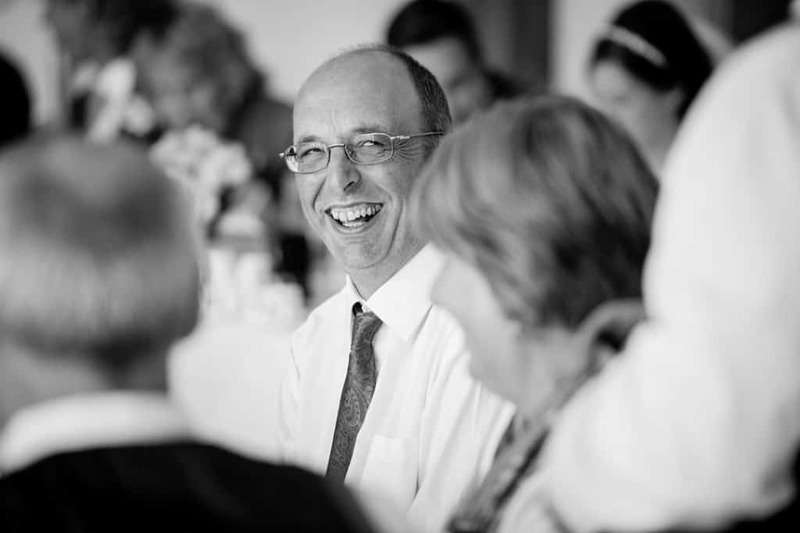 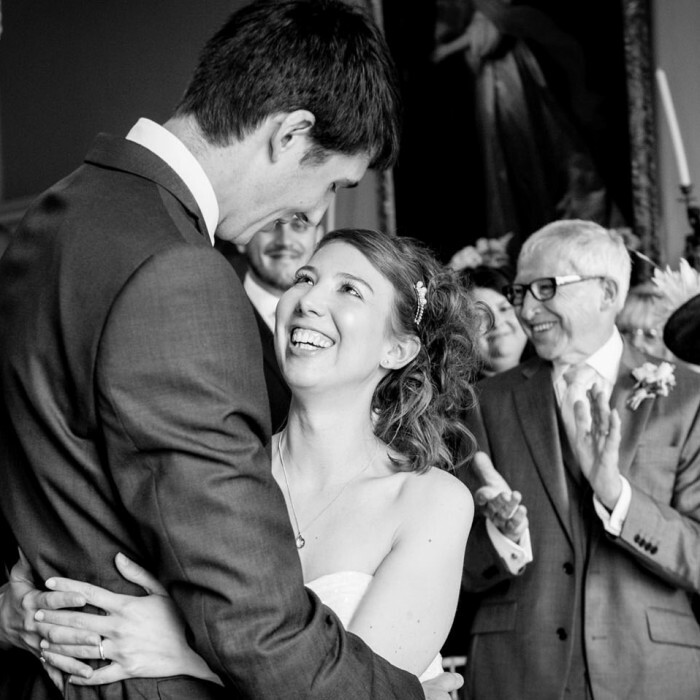 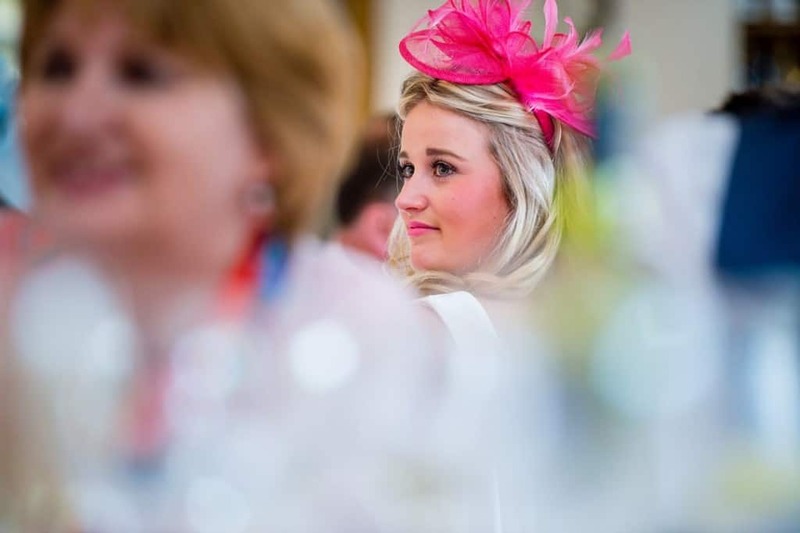 As a Nottingham wedding photographer it’s one of my favourite wedding venues as you will see from my photographs. 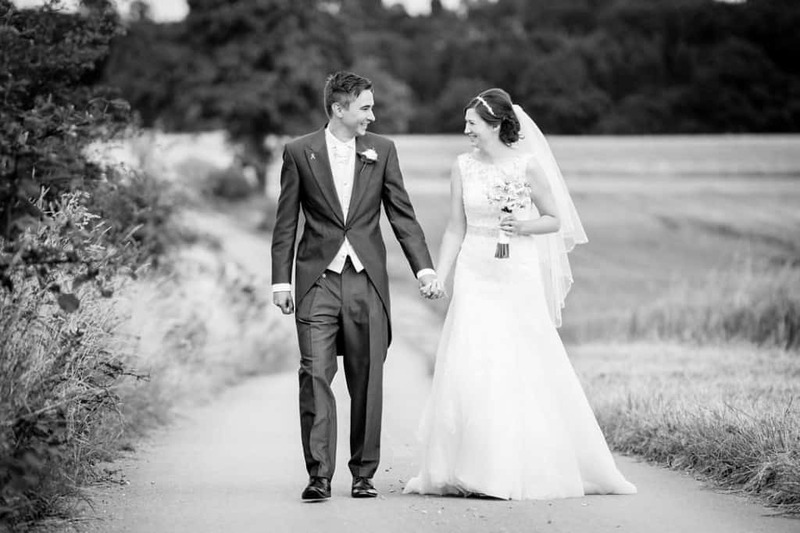 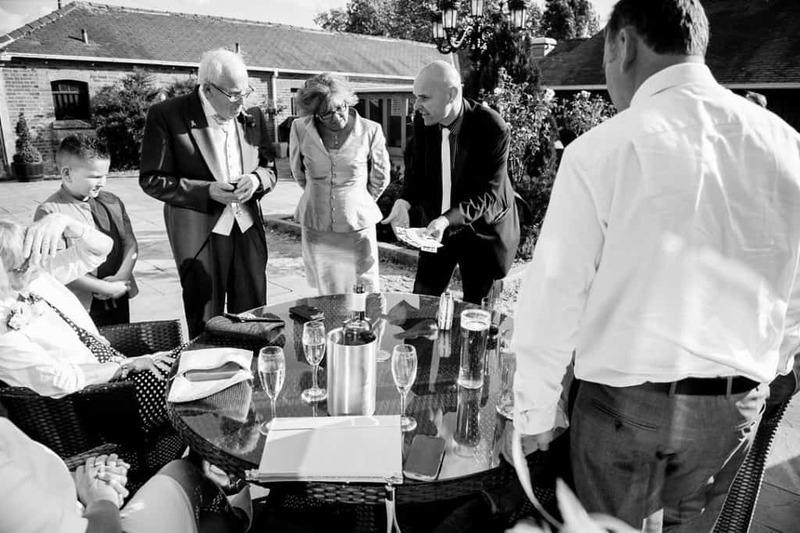 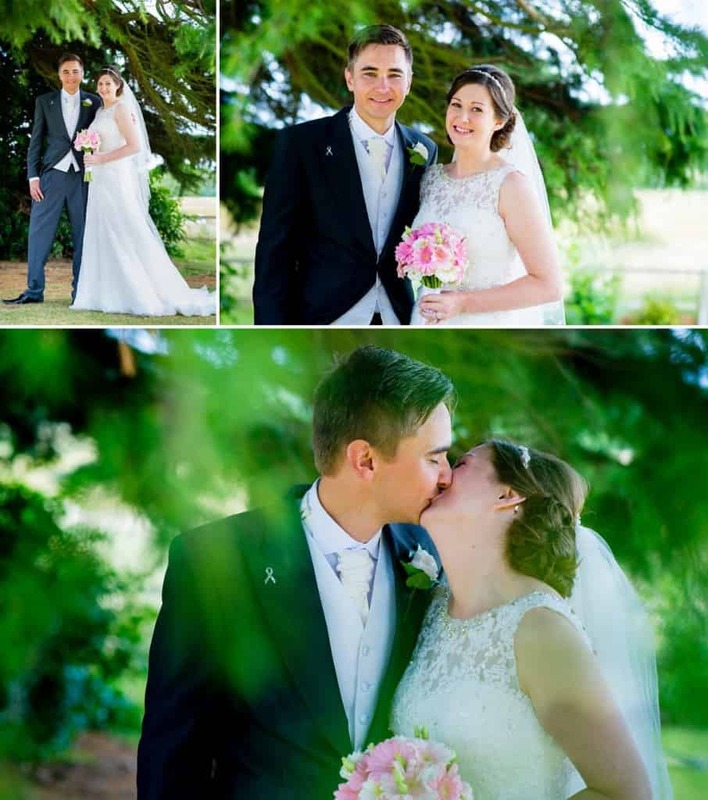 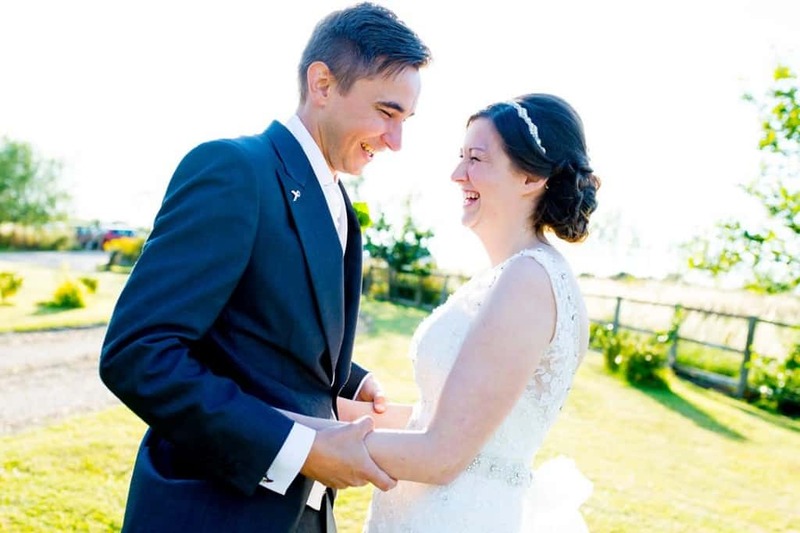 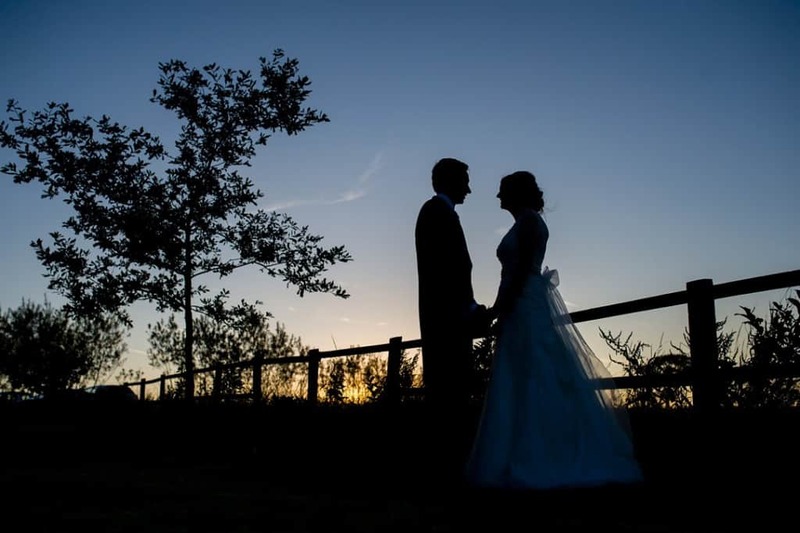 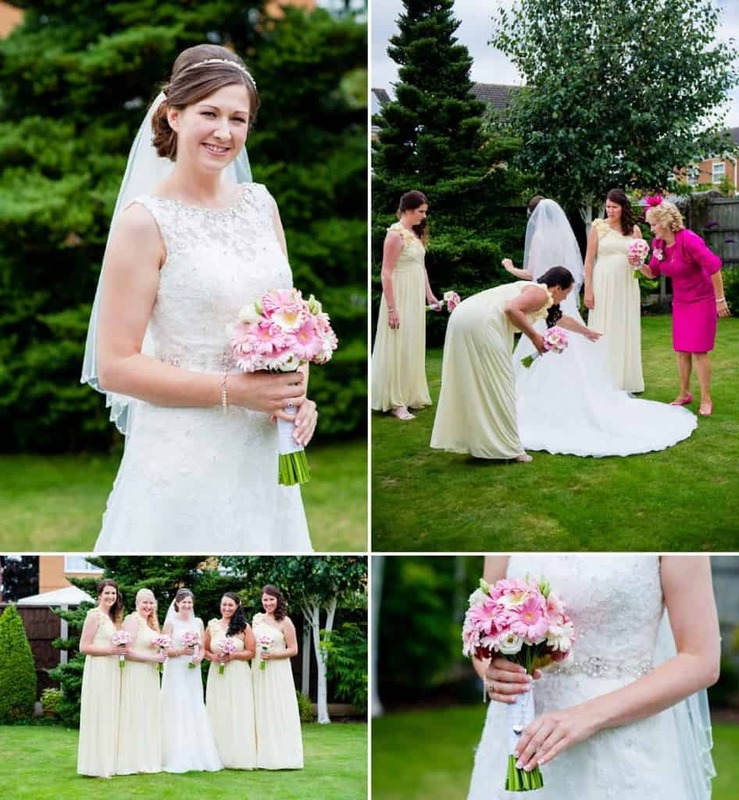 If you have booked Swancar Farm County House for you wedding please get in touch and we can organise a free consultation to chat about your wedding photography.